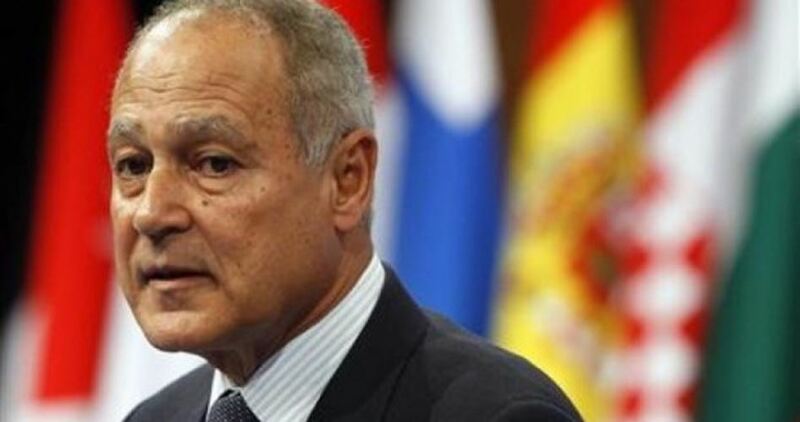 Secretary-General of the League of Arab States Ahmed Abul Gheit said the failure of the the US-sponsored draft resolution seeking to condemn Palestinian resistance group Hamas at the United Nations General Assembly is a goal scored in favor of the Palestinians. Speaking in a Sunday statement, Abul Gheit said the draft resolution is devoid of balance and objectivity, adding that it makes part of an attempt to pool the wool over the world’s eye as it avoids dubbing Israel an occupying power. 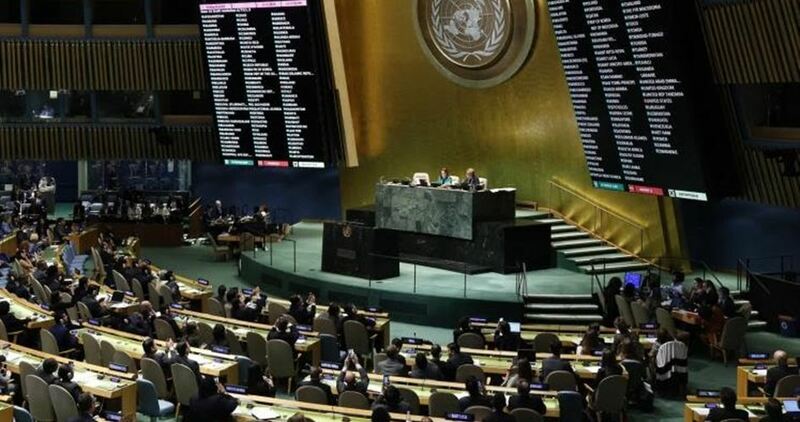 The 193-member UNGA voted 87-57 in favor of the US resolution Thursday while 33 members chose to abstain, leaving Washington with a plurality vote that fell short of the two-thirds requirement to adopt the resolution. 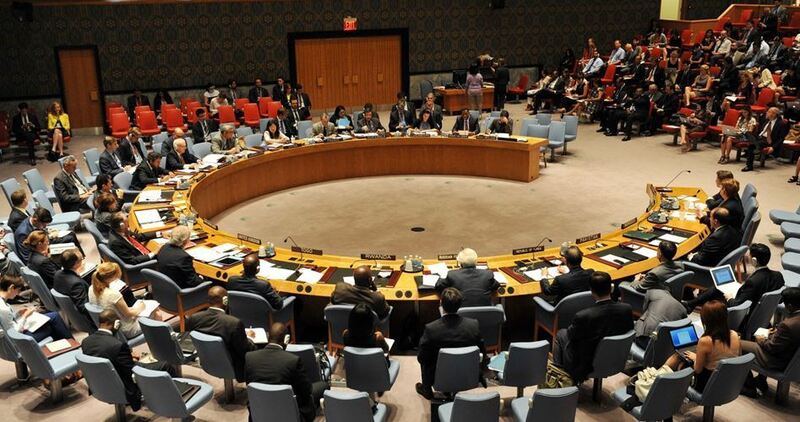 The resolution attempted to condemn Hamas for carrying out rocket attacks against Israel and using "airborne incendiary devices" against Israelis. What’s next after trying to blame the victim in the General Assembly? For this reason, the Trump administration called for a vote on a carefully crafted draft resolution to divert attention away from the essence of the Palestinian cause and to try to blame the victim. It aims to overturn the agenda and mix up all the playing cards suddenly, in order to portray the problem as being the Palestinian people, not the occupation and its consequences. The draft resolution is formulating in a very misleading manner. It speaks superficially of condemning Hamas to avoid openly criticizing the Palestinian people and their overall resistance and it absolves the Israeli occupation of its fundamental responsibility for the situation. It seems that this is an attempt by the American administration to avenge its bruised ego after the embarrassments it faced over an entire year. Its new move to vote is occurring to coincide with the first anniversary of Trump’s announcement recognizing Jerusalem as the capital of Israel and decision to move the American embassy to the city, something avoided by previous administrations. The Trump administration found itself alone after making this biased decision, as the world was asked to announce its position on the matter in a vote in January 2018. The Trump administration was shown to be internationally isolated in its decision towards Jerusalem. There was a vote yesterday in which the discussion was directed at a completely different arena: the Palestinian resistance’s response to the Israeli bombings and the launch of incendiary kites and balloons from the Gaza Strip. In this critical round of voting, the world bypassed the US administration by requiring a two-thirds majority to approve its project. Moreover, 33 countries abstained from the vote while 57 countries voted against the resolution. Thus, the US-Israeli position was unable to pass a resolution favoring the occupation despite 87 countries backing it after an intensive mobilization campaign that, at first glance, seemed to be a guaranteed success. A few years ago, I met European diplomats who criticized the launching of “indiscriminate rockets” from the Gaza Strip, as was claimed at the time. I shared their concern about these “indiscriminate rockets” and asked them whether they believed the solution to the problem is to provide the Palestinians with very accurate weapons and ammunition and smart technologies such as those obtained by Israelis from Western countries. What happened in the American draft resolution that fell in the UN vote gives a different perception of the meaning of such criticism. 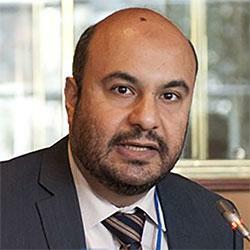 - Hossam Shaker is a researcher and author, and a consultant in media, public relations and mass communication for a number of organizations in Europe. He resides in Vienna and has an interest in analysis of European and international affairs, as well as social and media issues. His article appeared in MEMO. 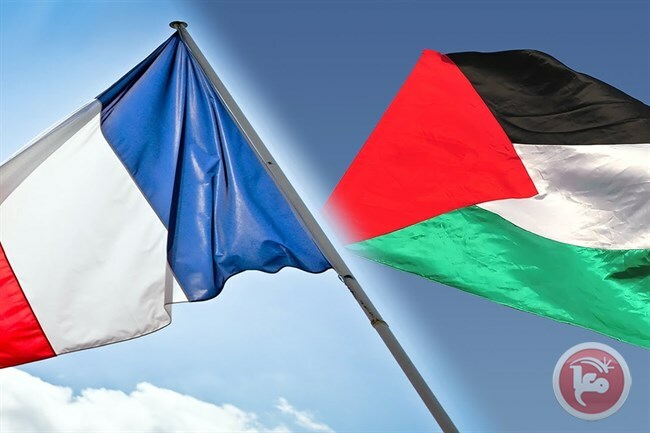 Palestine and France signed 10 cooperation agreements, on Friday, during a visit by Palestinian Prime Minister Rami Hamdallah to Paris and his meeting with his French counterpart, Edouard Philippe. Palestinian Foreign Minister Riyad al-Malki, along with his French counterpart, Jean-Yves Le Drian, signed 10 cooperation agreements in education, budget, local governance, civil defense, environment, water, agriculture and developing the private sector. Meanwhile, Hamdallah attended a joint press conference with Philippe, where he thanked France for its support for Palestine and its support for the two-state solution. He said that the meeting of the joint French-Palestinian ministerial committee in Paris is important for promoting cooperation between their two countries and its peoples. Hamdallah said that French support was vital for developing the Palestinian economy and strengthening government institutions through capacity building, particularly in areas such as health, education, agricultural and water, among others. Regarding the peace process, Hamdallah appreciated French efforts to bring peace to the Middle East and called for establishing an international group to revive the deadlocked peace process. The Hamas Movement has expressed its appreciation to all the countries that opposed on Thursday the US-drafted resolution on the Palestinian resistance at the UN General Assembly and defended the justice of the Palestinian cause. In a statement, Hamas stressed that the real terrorism that must be confronted and condemned by all countries is Israel’s occupation of the Palestinian land. The Palestinian resistance movement called for condemning Israel’s occupation of the Palestinian land, its displacement of millions of Palestinians from their areas and homes, the massacres and crimes it had committed against them, its Judaization activities in Jerusalem, its construction of settlements, and its refusal to allow Palestinian refugees to return to their homes. The UN General Assembly voted in favor of a resolution calling to end the Israeli occupation of Palestinian territories, current President of the UN General Assembly Maria Espinosa said in a statement. The Comprehensive, Just and Lasting Peace in the Middle East resolution sponsored by Ireland urges to end the occupation of Palestinian territories by the state of Israel and reaffirms its support for the two-state solution. The United States and Israel voted against the resolution in addition to Australia, Liberia, Marshall Islands, and Nauru. Since 1967, Israel has been occupying Palestinian territories and refusing to recognize Palestine as an independent political and diplomatic state. Through a recorded vote of 156 in favor to 6 against (Australia, Israel, Liberia, Marshall Islands, Nauru, United States), with 12 abstentions, the Assembly adopted a draft resolution titled “Comprehensive, just and lasting peace in the Middle East” (document A/73/L.49). “Such a peace, unfortunately, is not currently in sight,” said Ireland’s representative while introducing the text. Stressing the importance of reversing the current negative developments on the ground, she added that a settlement of the conflict must meet Palestinian aspirations for statehood and sovereignty, as well as resolve all final status issues. The General Assembly decided to reiterate its call for the achievement of just and lasting peace in the Middle East while also failing to adopt a text condemning Hamas resistance group in Gaza. Speaking on behalf of the Arab Group, the representative of Kuwait called on all States to reject the US-drafted text condemning the Palestinian resistance as it “distracts from the deep seated causes of the conflict”. After rejecting the US-backed anti-Palestinian resistance resolution, the General Assembly voted, on Thursday night, in favor of another text dealing with the Israeli-Palestinian conflict. It also demanded, according to Days of Palestine, “an end to the Israeli occupation” and reaffirmed the assembly’s “unwavering support… for the two-State solution of Israel and Palestine, living side by side in peace and security within recognized borders, based on the pre-1967 borders. The Palestinian resistance factions hailed the world states who have voted against the US-sponsored draft resolution seeking to condemn Palestinian resistance group Hamas at the United Nations General Assembly. Hamas leader Sami Abu Zuhri said the fact that the draft resolution has failed to gain a majority vote at UNGA is a slap on the US and Israel’s face and a confirmation of the legitimacy of anti-occupation resistance. Islamic Jihad leader Daud Shehab said the results of the UNGA vote represent a heavy blow dealt to the US and Israel and their counterfeit narratives. Political bureau member of the Palestinian People’s Party, Walid al-Awad, said the US failure to condemn Hamas as a terror group is an indication of the universal support to the Palestinian cause. 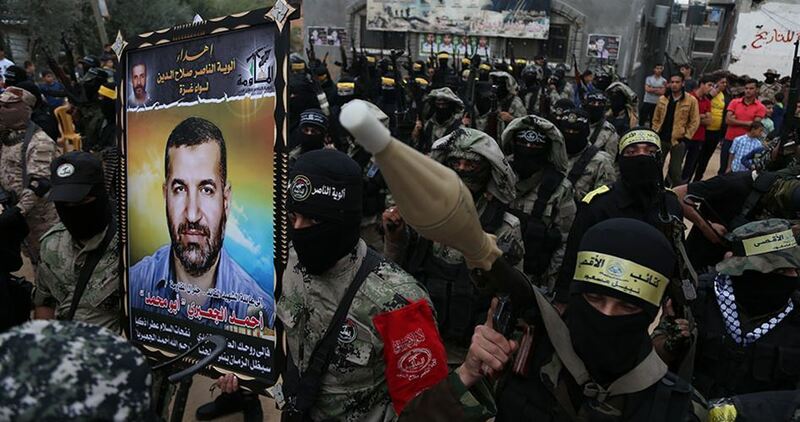 The Popular Front for the Liberation of Palestine and the Mujahideen Movement in Palestine, along with other resistance factions, also lauded the move, which they dubbed another goal scored by the Palestinian resistance. The resolution came weeks after the Israeli military fired hundreds of rockets into Israel during a two-day flare-up of violence following a botched Israeli attack against a Palestinian anti-occupation commander. A US-sponsored draft resolution seeking to condemn Palestinian resistance group Hamas at the United Nations General Assembly has failed to gain a majority vote on Thursday. “The General Assembly has passed over 700 resolutions condemning Israel. 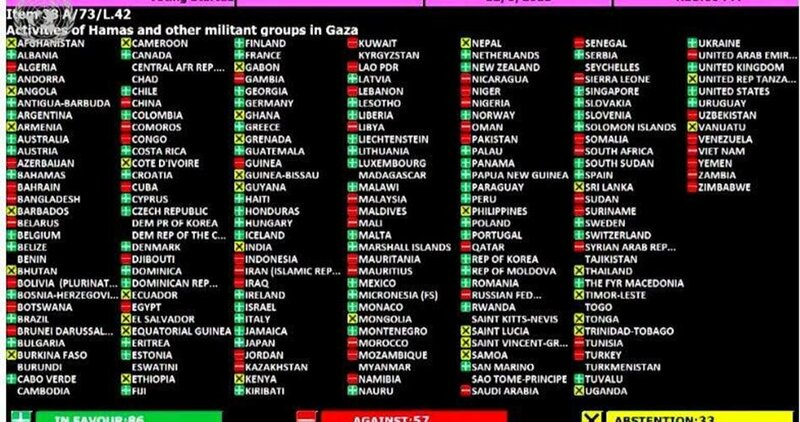 And not one single resolution condemning Hamas. That, more than anything else, is a condemnation of the United Nations itself,” she claimed. China and Russia were among those voting the measure down. India abstained despite having recently forged warmer ties with the Tel Aviv regime.